Simple to learn, addictive and lots of fun. Children to adults will enjoy! Can play it for 2 minutes or 20. 100 paper balls takes the classic game and improves upon it. It is a simple 1 touch game that is very addictive but with a few i...MoreSimple to learn, addictive and lots of fun. Children to adults will enjoy! Can play it for 2 minutes or 20. 100 paper balls takes the classic game and improves upon it. It is a simple 1 touch game that is very addictive but with a few issues that we have corrected. Fixes Old Issues There are a number of things that we have adjusted in this version of this great game. * moved the Pause Button at the bottom of the screen to get it out of the game play. * allow you to purchase more paper balls or more waste paper baskets when you run out. * other game play adjustments We hope to add more challenges in upcoming versions. The object is to release the paper balls into the waste paper baskets without losing missing and therefore losing them. You start with 100 balls and the game keeps going until you have 0 paper balls left or no waste paper baskets to catch them in. Drop them into different colored waste paper baskets and the paper balls will change that color. Collect the colored paper balls for higher points. 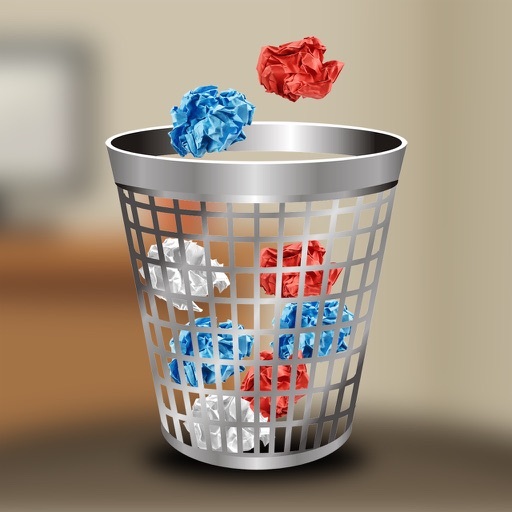 Drop them in the rainbow colored waste paper basket and you will increase the number of paper balls in the basket. Drop in 5 paper balls to the rainbow colored basket and get an additional 5 paper balls added to the cup. 3 Gameplay Modes * Standard Office (Right to Left mode) * Reverse Office (Left to Right mode) * Combine Office (Both above modes) This is an excellent simple physics game. Compare your score to others in Game Center. Share your high scores with your family and friends. Please let us know how we can improve the game play for you @ info@tmhrsecretsociety.com.